“@MLB: Watch out. 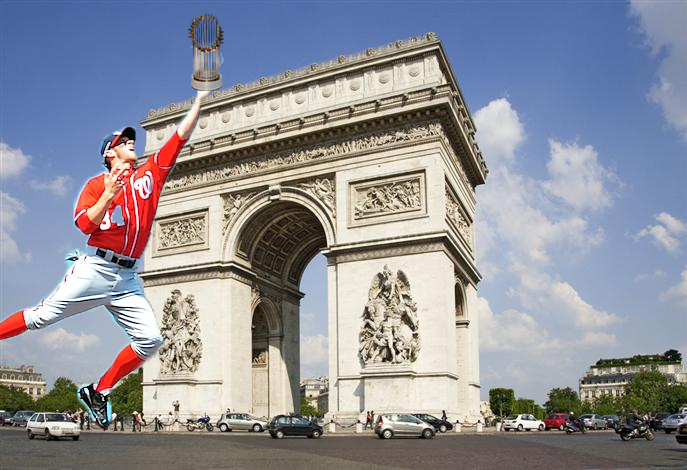 @Bharper3407 means business: http://t.co/RqrWjcPool pic.twitter.com/64IbvqL1Ed” "Place that trophy over monuments" ???????? But I’m not so sure he isn’t making perfect sense. 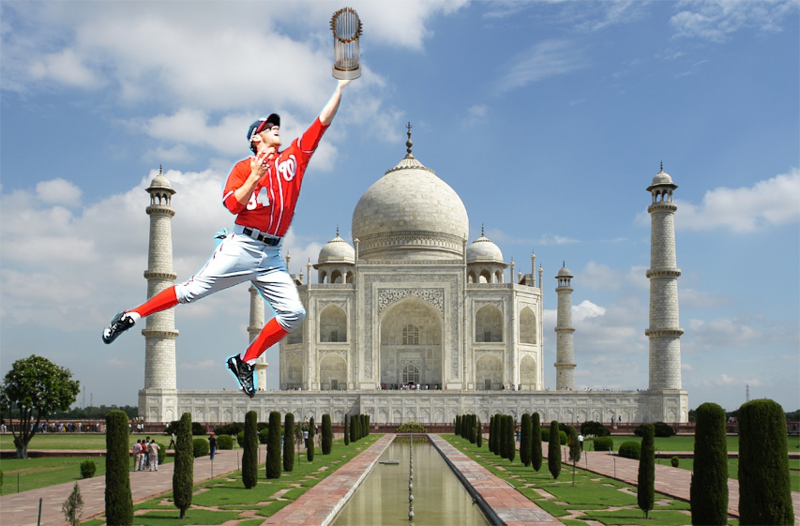 Bryce Harper is a guy who dreams big. 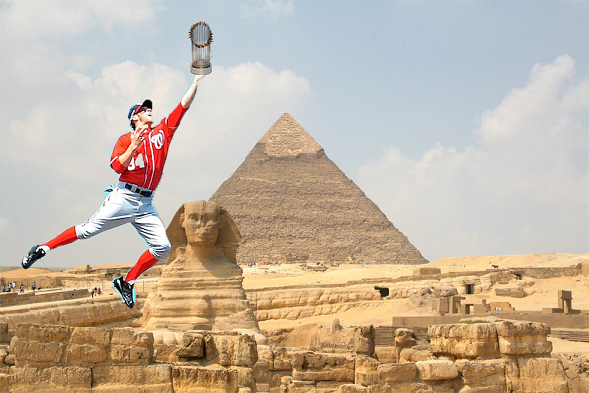 Maybe his dream is to win a World Series, bring a championship back to DC, and then start placing the trophy over monuments. 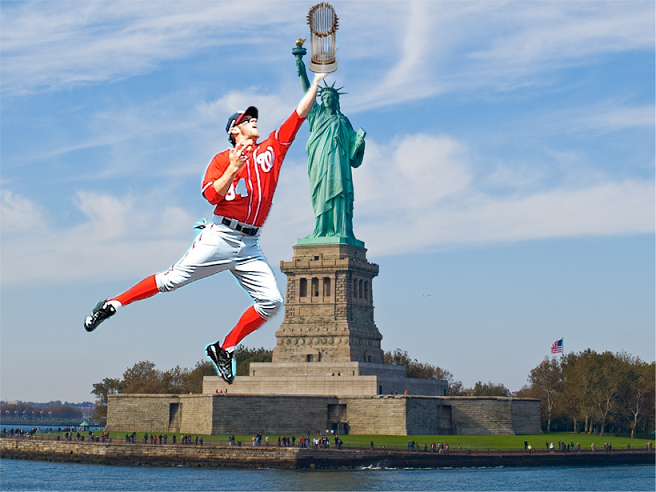 From there, he’ll move on to monument park, in Yankee Stadium, where, as we all know, Yankees legends are buried. 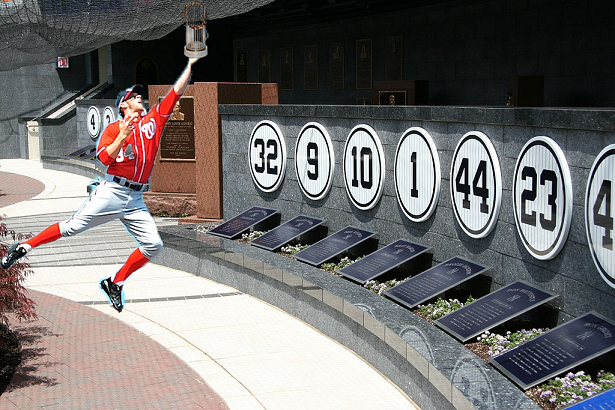 Harper will get to visit the grave of his favorite historical player, Mickey Mantle, and meet with Derek Jeter, who sits like the grail knight, waiting until the day he is buried in the stadium. After hitting up the Arch of Titus in Rome, and any other arches he finds along the way, he will continue south and east until he hits one of the world’s most enduring monuments, the Great Pyramid of Giza, as well as the Great Sphinx. 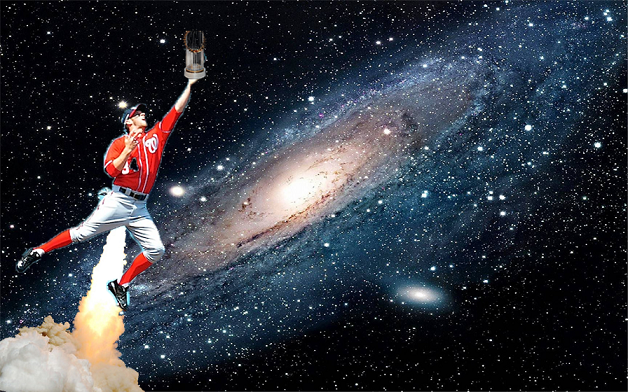 At that point it is safe to assume Bryce will launch himself into space, looking for more monuments throughout the galaxy to lift the trophy over. Whatever he really plans on doing, I like that he’s excited about all of this. And I’ll miss him after they win it all and he departs for Alpha Centauri.